Now in late August 2015 comes the news that the very seriously great Roscoe Head, featured below is in some danger. Therefore the people of Liverpool, including me of course, are gearing up to get it declared a community asset and then move towards some sort of buyout, along with the family who’ve ben running the place for many years now. To help us do this please sign this petition now. Fair enough as, though he’s limited his drinking area to in and around the city centre, there are still more pubs than he could have possibly fitted into his lavishly illustrated 100 page book. Well for this article I’m going to reduce his selection even further. To those with particularly strong attractions and memories for me. Though I reckon that over time I’ve happily called in at around two thirds of the 25 pubs covered in here I’m only going to make a very personal selection. You’ll have to get the book to read about the rest. 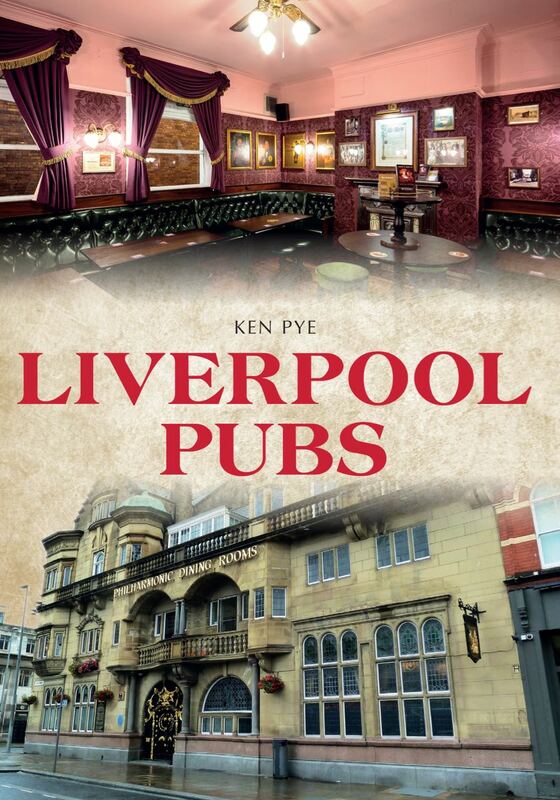 So let’s set off then, good and thirsty with our Ken Pye guide in our collective hands. Peter Kavanagh’s, Egerton Street When I arrived at Liverpool Housing Trust in Falkner Square in 1975, on my first Friday afternoon there I found myself almost alone in the offices. 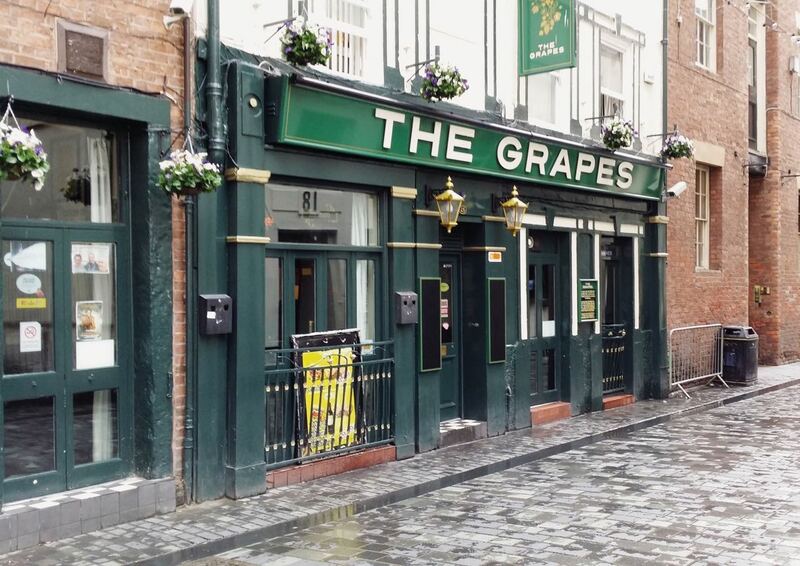 ‘Because,’ as the only person I could find told me ‘Everyone goes round to the Grapes on Friday afternoons.’ Already thinking I’d arrived in Paradise I immediately walked round to Egerton Street to find it was Paradise with a Bar. The place was still called ‘The Grapes’ in those days, only gaining the name of its most illustrious landlord a few years later. 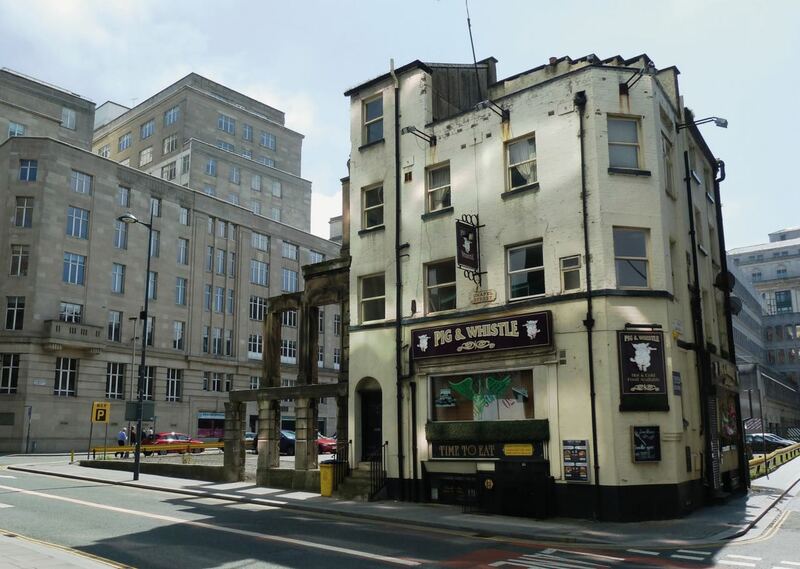 It had made it big earlier in the 20th Century by being one of the very few pubs in mysteriously ‘dry’ Liverpool 8 and being across the road from popular but alcohol free dance hall, The Rialto. To a scene that looked somewhere between a party and a riot, but was actually a well ordered way of both getting things done and celebrating the end of the working week. 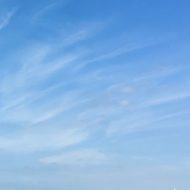 Repairs would be reported in person and the tenant would then be introduced to the contractor best fixed to sort it out. Emergency housing, priorities for next week, chasing up progress, all the ins and outs of running what was still then a community based housing association, taking place before my astonished eyes in, well you can see the photo, a magical celebration of a place, then and now. This was where you’d go for a quiet conversation though. Tucked into an almost secret corner off Falkner Street. 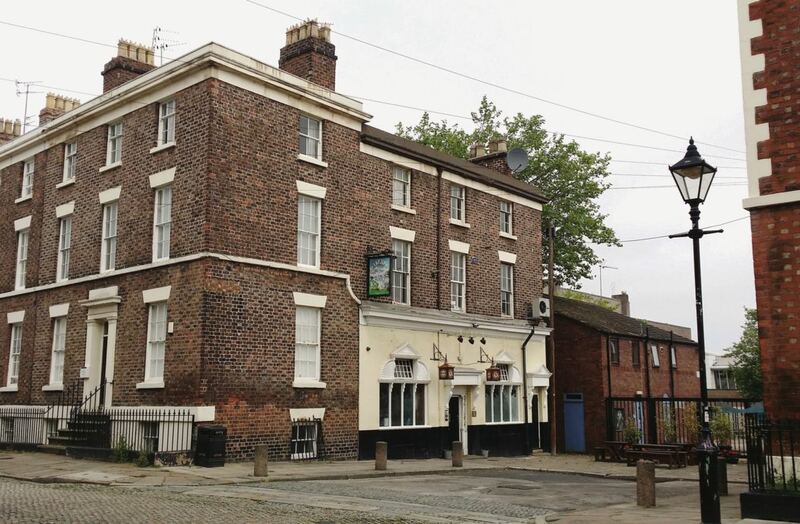 For all the claims of the nearby Cracke we always thought of this as the ‘real’ Art School pub, where John Lennon really did go. 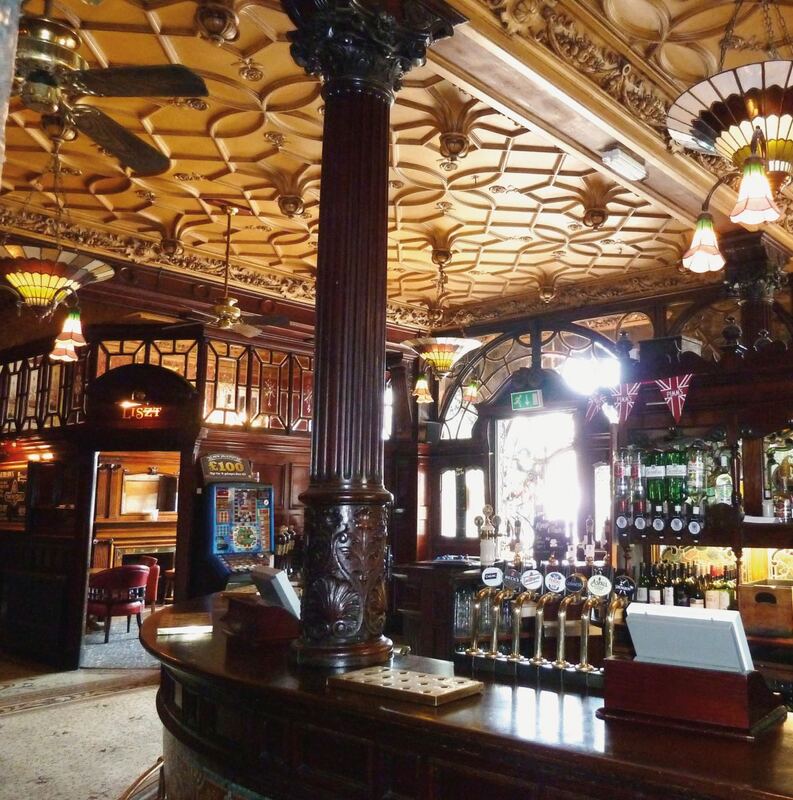 These days it distills its own gin and is still Liverpool’s best kept secret as far as tiny, welcoming pubs are concerned. You may well have to stand up, but you’ll soon find you’re standing next to an interesting and opinionated person! The Philharmonic, Hope Street As you may have gathered by now, on this pub crawl we’re on I’m being the Ronnie of those 1970s going into the 80s days. When I got heavily involved in housing and then in Trade Unions and was drinking beer if not for England, then certainly to a near international standard. So here we are at the Phil, which was never truly an LHT pub. As you can see it’s ‘posh’ and would be saved mostly for Saturday nights with local Liverpool mates and our girlfriends. Each of whom would be carefully and proudly shown the magnificent marble urinals. Still a ritual you’ll see taking place should you come in here. And obviously there’s much more about its history as a private gentlemen’s club and why it looks the way it does in Ken Pye’s book. Meanwhile, where’s next? Down into town then and a side room in here was where we’d hold our Union meetings for a while. The group of Liverpool Housing Associations and like minded organisations had our own ‘Liverpool Community’ branch of ASTMS and I was the Chair of it for a few lively years in the late 1970s and early 80s. Many pubs were involved in this responsible task of course but we always enjoyed our time in the Grapes. In those days Cavern DJ Bob Wooler and ‘I gave the Beatles away’ Allan Williams would nearly always be there telling their stories of ‘the 4 lads’ to any tourists curious to keep buying them drinks. A particularly precious memory though is being in there one night before a John Martyn gig at next door Eric’s. ‘I’m having one more and then we’ll get going!’ bellows jovial John himself, before we all troop into Eric’s after him and listen in expected astonishment to the Echoplexed gentleness of our since lost wild man. 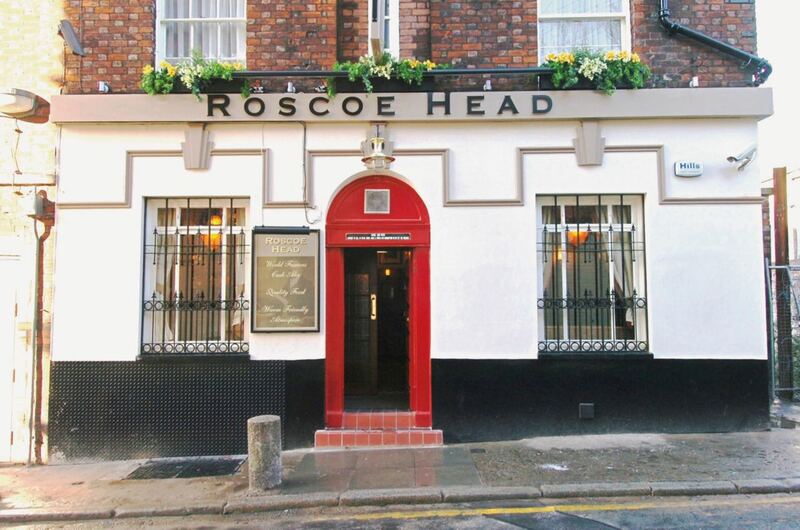 The Roscoe Head, Roscoe Street Over time though and much more so than Peter Kavanagh’s or anywhere else, this became the Liverpool Housing Trust pub above all others. By the late 1970s we’d gone all ‘professional’ and would actually work in our offices all Friday afternoons (shocking I know). Meaning that come half five the thirsty hordes of LHT would descend on the Roscoe and, often as not, stay there all evening. We’d take over the whole of the back room and have our usual great time arguing. About housing. Really. Policies were debated. Senior management would be roundly crticised to their faces. Then sent for the next round. And for years ‘Friday night in the Roscoe’ was where the Trust operated. It was never arranged, it was just where we went. And no photos were ever taken of these wonderful times. Or so I thought. Until recently my friend Miranda, who’d been there since back in the Peter Kavanagh days, sent me this. It’s 1987, a little later than most of these memories, but here some of us are, in the back room of the Roscoe. 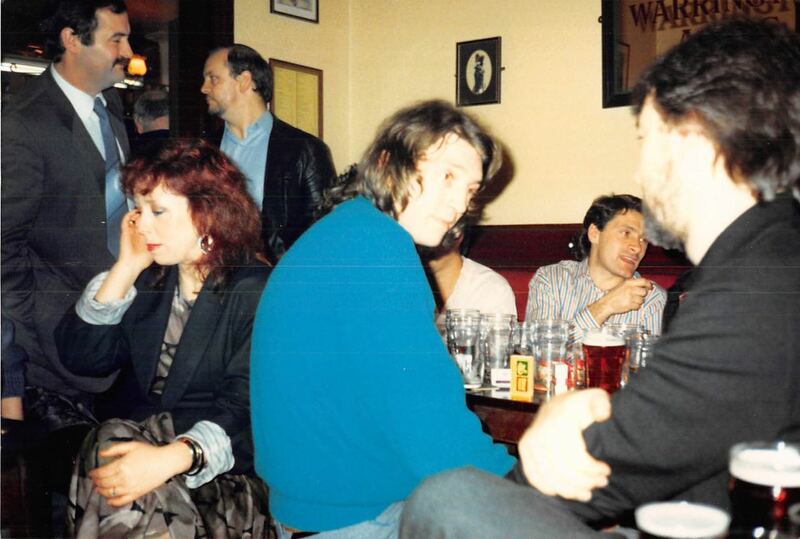 Frank’s at the bar, Brian and Stan are standing up, Carol appears to be on the phone, except mobiles haven’t been invented yet, and Paul in the striped shirt is in between me and Phil. Phil Macaulay, in the blue jumper, talking to me, in the Roscoe. This photo is not of course in Ken Pye’s book. But reading the book reminds me of the best of my own times in all the places in it. None more so than the Roscoe and Phil. For a few years there we were the two principal union reps at LHT and, as I’ve written elsewhere on this blog, Phil was one of the most cultured and intelligent people I have ever met and I was both happy and tearful to get this photo. The only one I have of us doing what we did so much of, listening to each other think. 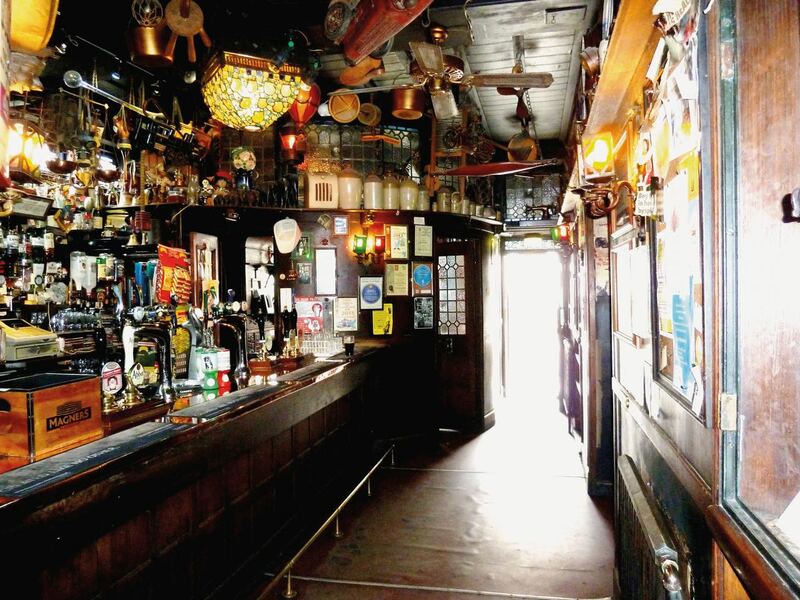 Phil died in 2003 and is missed deeply by me and by all of us who were ever there in the back room of the blessed Roscoe (One of only 7 pubs to have been in every edition of CAMRA’s Good Pub Guide since 1974). Which is where our pub crawl ends. Ken Pye’s book contains many places we could have ‘gone on’ to. But really we were always happy to get ensconced there in the Roscoe, where we’d always do our best to put our own bits of the world to rights. But if you do fancy a few more? 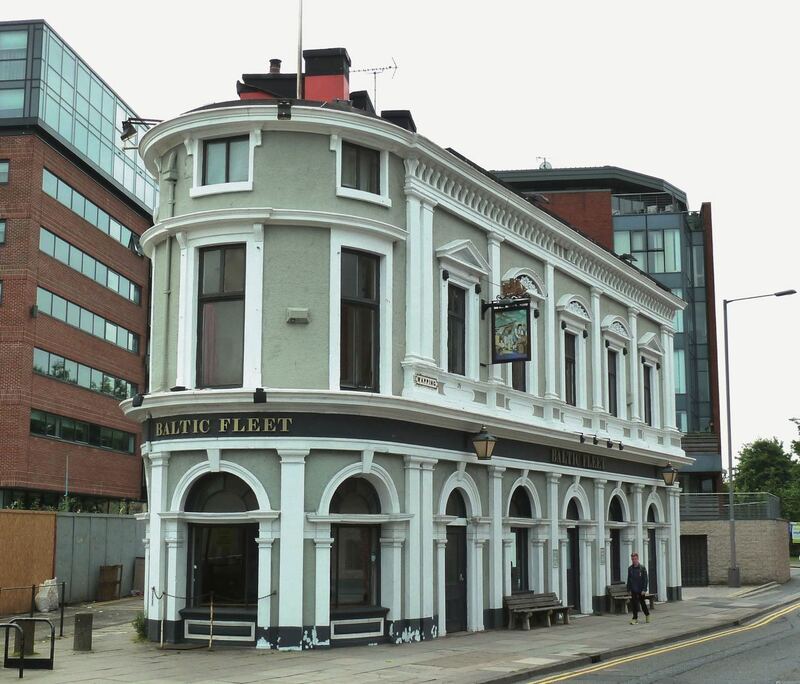 Or perhaps the Baltic Fleet? All gems. Big thanks once again to Alexandra Sore of Amberley Publishing for the review copy of Ken Pye’s lovely book and permission to use the photographs. So all photos ©Amberley Publishing, apart from the one of me and Phil. 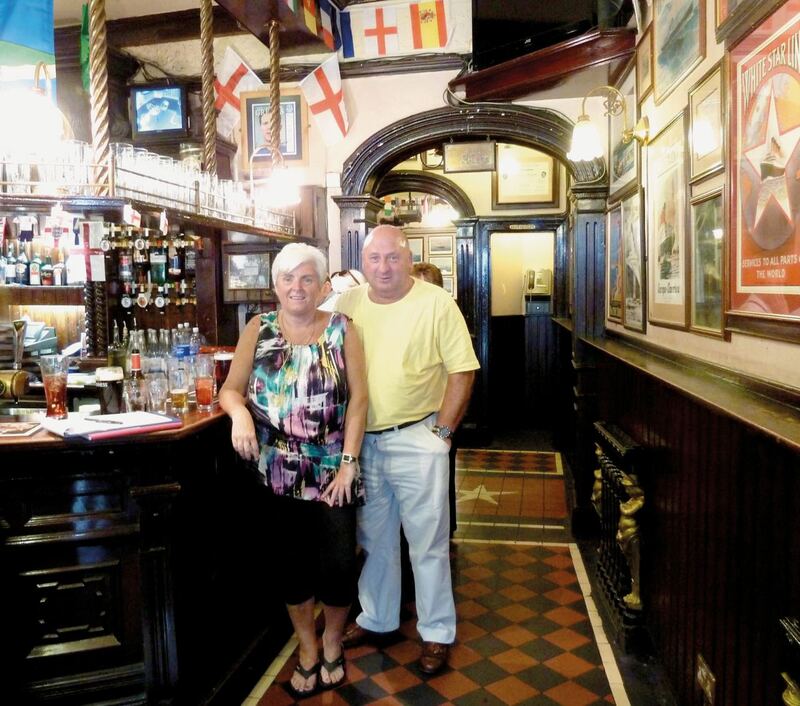 Posted byRonnie Hughes April 28, 2015 August 27, 2015 Posted inHistory, Liverpool, ReadingTags: Baltic Fleet, beer, CAMRA, Good Pub Guide, Grapes Mathew Street, housing associations, John Martyn, Ken Pye, LHT, Liverpool Housing Trust, Liverpool Pubs, Peter Kavanagh's, Phil Macaulay, Philharmonic pub, public houses, pubs, real ale, Roscoe Head, social housing, the Belvedere, What Pub? Love this tour. We just don’t have pubs like yours, at least nowhere close to me. Your research on these establishments really impresses me. The ‘research’ was a tough job Jan, but someone had to do it! As ever thoroughly enjoyed this! 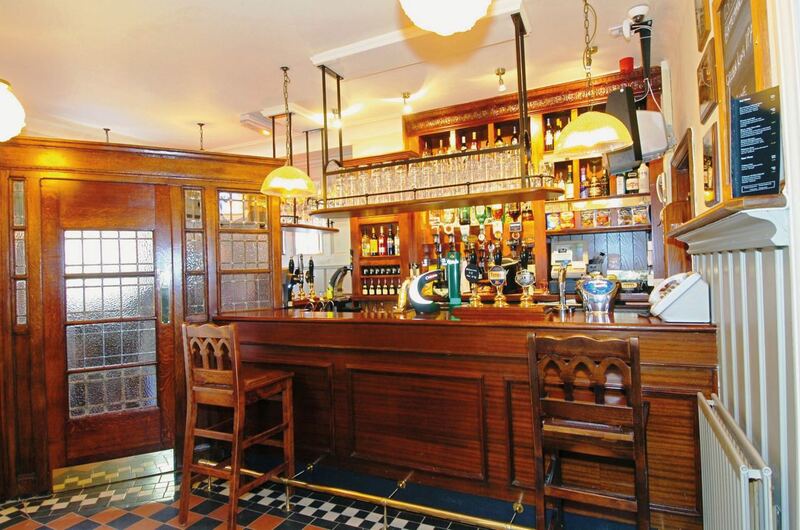 Lovely pubs and very evocative of the 80’s ( at the Council for me) and the energy we so badly need at the moment. Where did you work in the council then? Peter Kavanagh’s and the Baltic Fleet were run in the 70’s and into the 80′ by John Meakin, sadly long dead. A real character, avid Liverpool fan and all round great guy. I still have a pin badge somewhere which says “I’ve been down John Meakin’s cellar”. Not sure why I have it, I think it was more intended for female clients!